After an abysmal finish to 2018 marijuana stocks have been scorching the market so far in 2019. 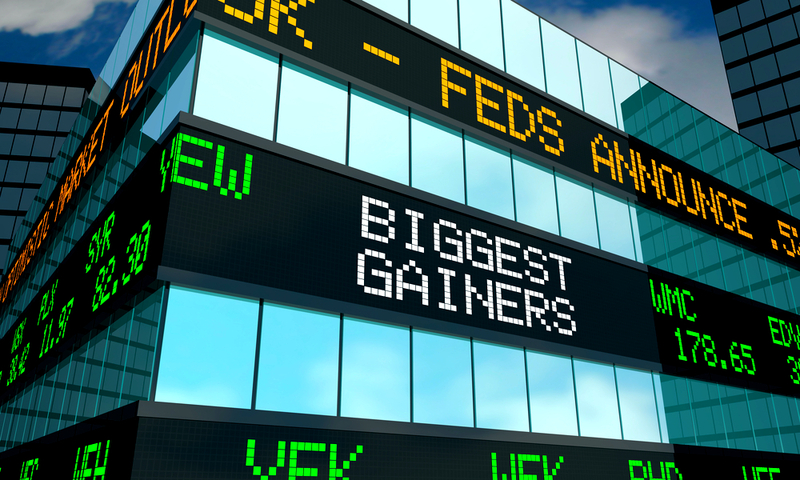 The majority of cannabis stocks have seen gains of 50% to 100% this year alone. A handful of companies have blown away these numbers and produced gains well in access of the industry average. 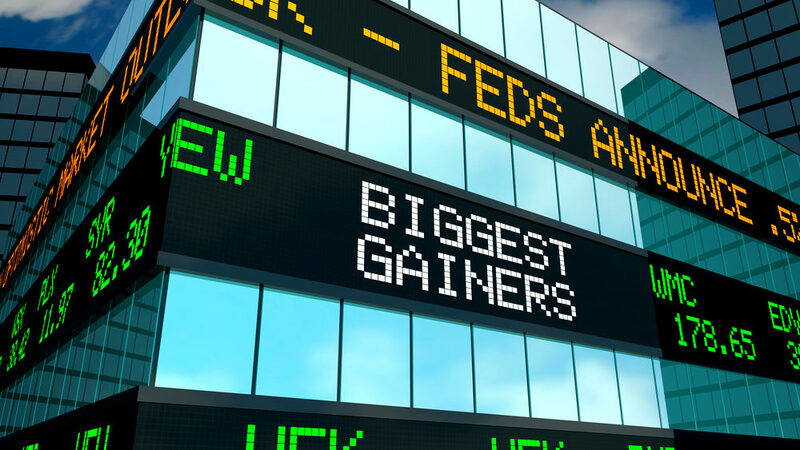 Today we are going to take a deeper look at these stocks and breakdown the numbers of the top 3 marijuana stock gainers of 2019. A $10,000 investment in TCAN could have turned into $68,625 in only 3 months. TransCanna Holdings is a Canadian based company providing branding, transportation and distribution services, through its wholly-owned California subsidiaries, to a range of industries including the cannabis marketplace. TransCanna burst onto the scene via IPO on January 9, 2019, and hasn’t looked back since. The stock opened trading that day at $0.80 and the opportunity to purchase sub $1 shares was short lived. 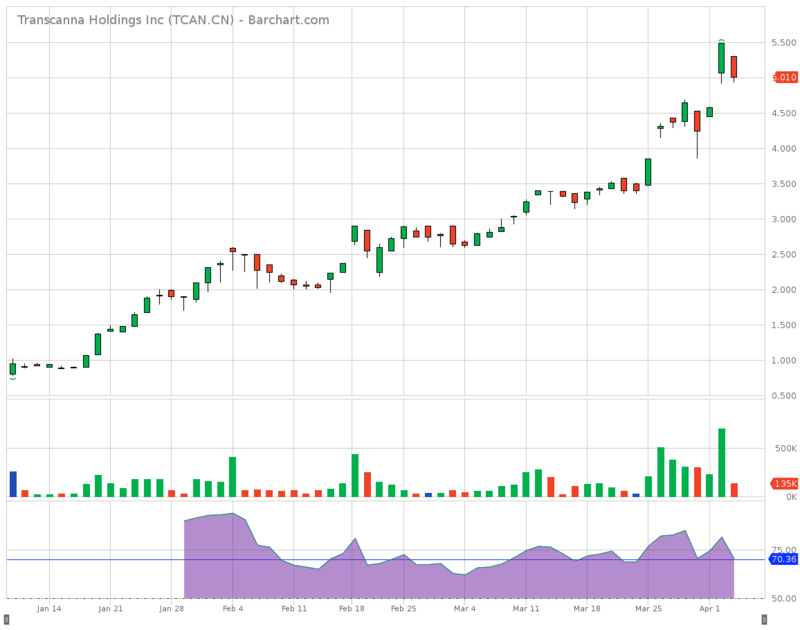 TCAN has released a plethora of news over the past 3 months with the biggest news coming on March 21st when the company announced it signed closing documents to acquire a 196,000 sq ft cannabis facility. TCAN followed that up with an announcement that the company had received a 3rd party valuation of up to $75 million for this particular facility. The stock reacted swiftly and continued its rapid ascent up the charts. Lastly, TCAN just announced the close of an oversubscribed $16 million private placement. The private placement closes tomorrow and will fill the corporate coffers and allow the company to continue executing on its aggressive growth strategy. To learn more about TransCanna please visit the links below. A $10,000 investment in VFF could have turned into $56,925 in 2019 alone. Village Farms is one of the largest and longest-operating vertically integrated greenhouse growers in North America and the only publicly traded greenhouse produce company in Canada. Village Farms is now leveraging its 30 years of experience as a vertically integrated grower for the rapidly emerging global cannabis opportunity through its 50% ownership of British Columbia-based Pure Sunfarms. The Company also intends to pursue opportunities to become a vertically integrated leader in the U.S. hemp-derived CBD market. The main catalyst for Village Farm’s meteoric rise has to be attributed to their February 15th announcement in which the company’s shares were approved for listing on the NASDAQ stock exchange. VFF officially began trading on the NASDAQ on February 21, 2019. The “NASDAQ Bump” is a real thing and the proof is clearly evident if you take one glance at a VFF stock chart. A $10,000 investment into CRON could have turned into $23,586 this year alone. Cronos Group is an innovative global cannabinoid company with international production and distribution across five continents. Cronos Group is committed to building disruptive intellectual property by advancing cannabis research, technology, and product development. On December 7, 2018, Cronos Group announced a monumental deal with Altria Group in which Altria planned to invest a staggering sum of $2.4 billion into Cronos. This news planted the seeds for CRON and the entire cannabis industry to reverse their downtrend and begin moving north once again. 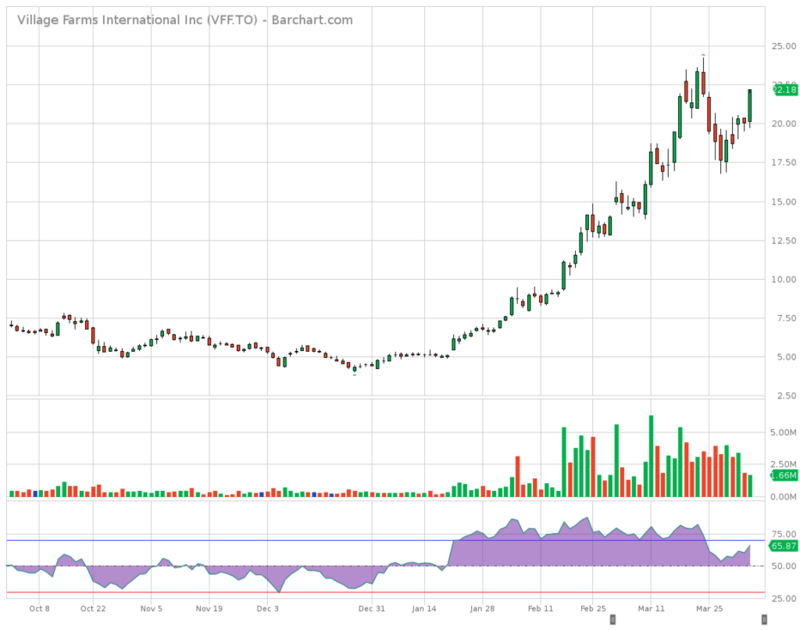 CRON closed their deal with Altria on March 8th and now has the 2nd largest war chest in the cannabis space, 2nd to only Canopy Growth Corp. (TSX: WEED) (NYSE: CGC). 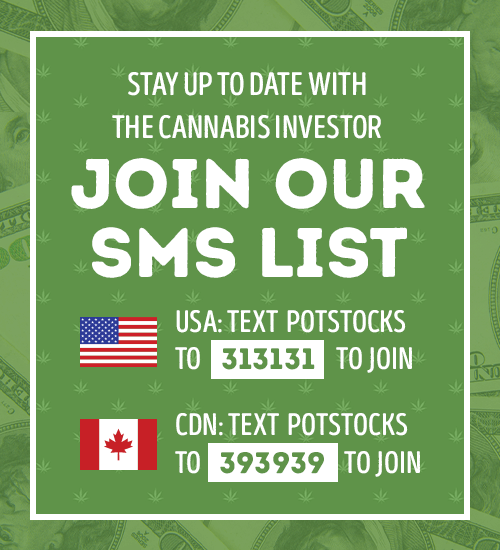 If there is a stock you think we missed that should be included on this list please don’t hesitate to reach out on social media to let us know. We love hearing from you. Best of luck to you all and happy trading! 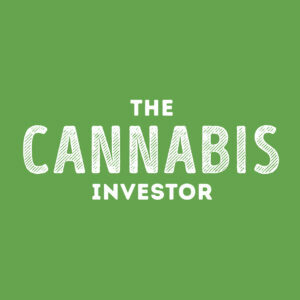 TransCanna Holdings, Inc. is a paid client of The Cannabis Investor. This report/release/profile is a commercial advertisement and is for general information purposes only. We are engaged in the business of marketing and advertising companies for monetary compensation unless otherwise stated below.